Dead fish and dead people. Previously on LMIYD… catch up with episode 1 recap! 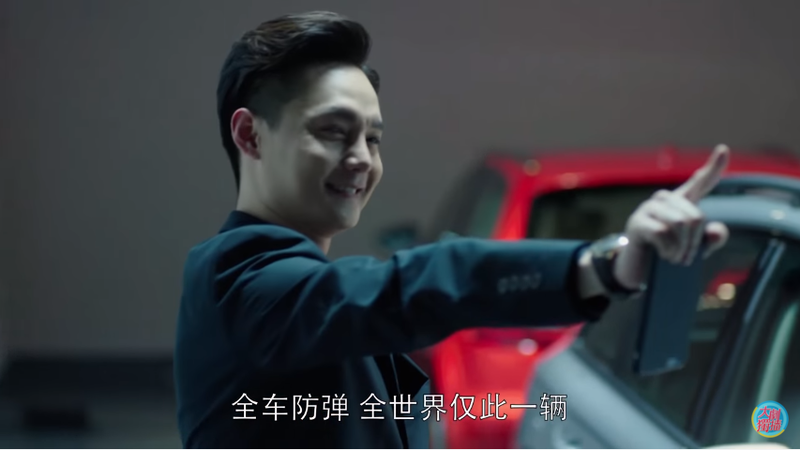 I guess since the fish issue is taken care of, Zi Yu moves on to a new job – getting Jin Yan a fancy car (does this man do anything else?). 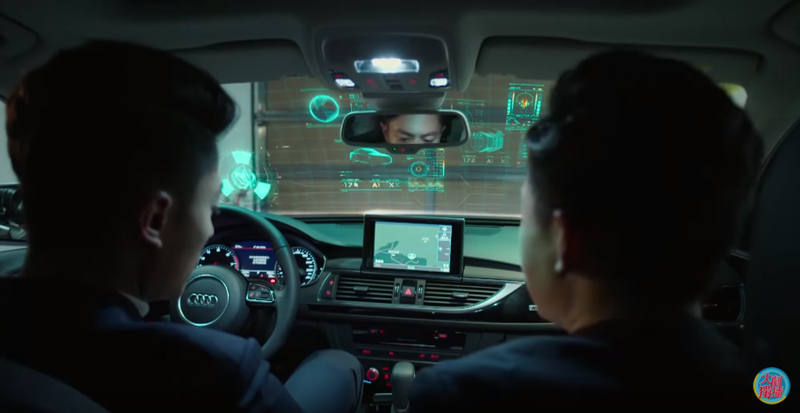 No, it is not just a regular luxury car, it is equipped with super high tech auto pilot system and only responds to Jin Yan’s voice. Dang. You have outdone yourself, Zi Yu. Oh, and the car’s name is Andy. Anyway, back to the fish business – it has turned fishy (hehe, excuse the pun). Yao Yao had arranged for a local merchant to deliver fish to Jin Yan every other day. It was apparent that the merchant had some unvoiced concerns, but he ended up agreeing and assigned the job to his son. 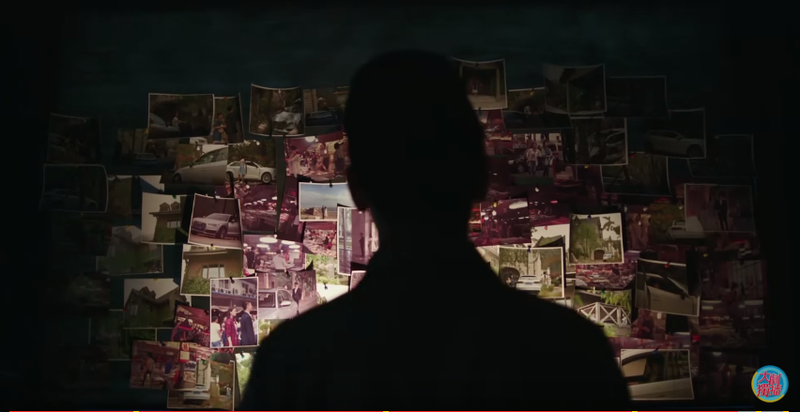 Remember the missing persons case? Well, it’s coming into play! Mr. Fish arrives with an angry mob the very next day because his son never returned from the delivery. 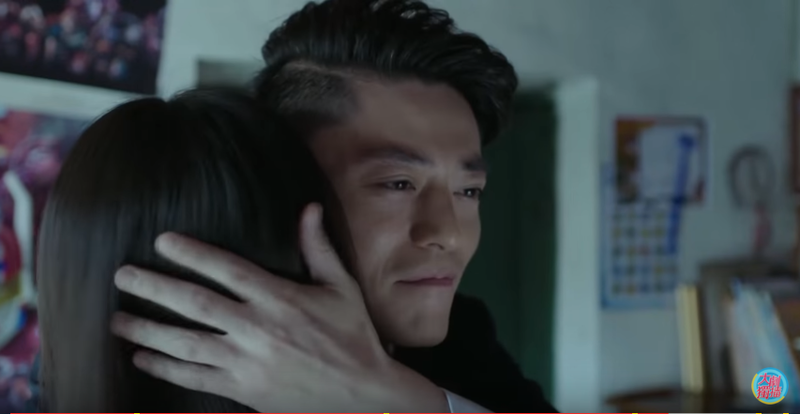 He bumps into Yao Yao who is coming to work and explains that though he had heard rumors of the house being haunted from others, he sent his son there anyway and now he deeply regrets this decision. So why did you do that if you had doubts? 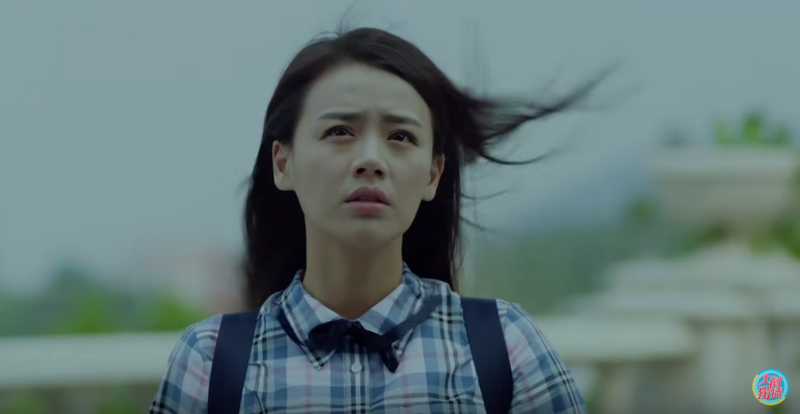 Though Yao Yao is unconvinced that Jin Yan is the bad guy in this she calls the police for backup. 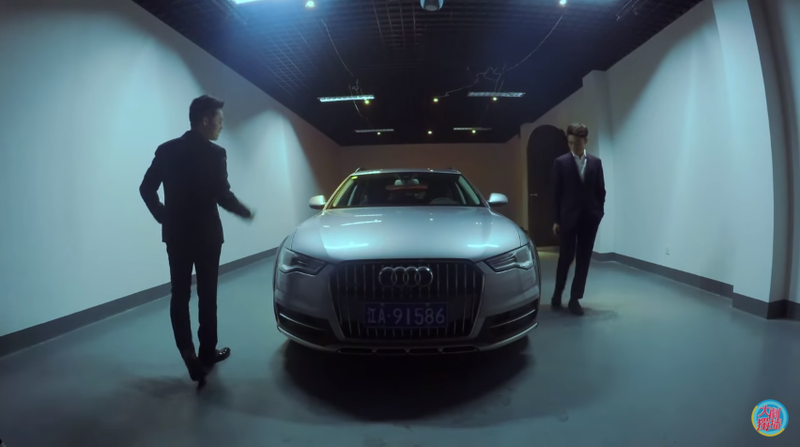 Just then Jin Yan phones her and tells her to relay a message to mob: that what they are looking for is in the locked room on the first floor and the key is in the kitchen. The angry mob enters with Yao Yao lagging behind. 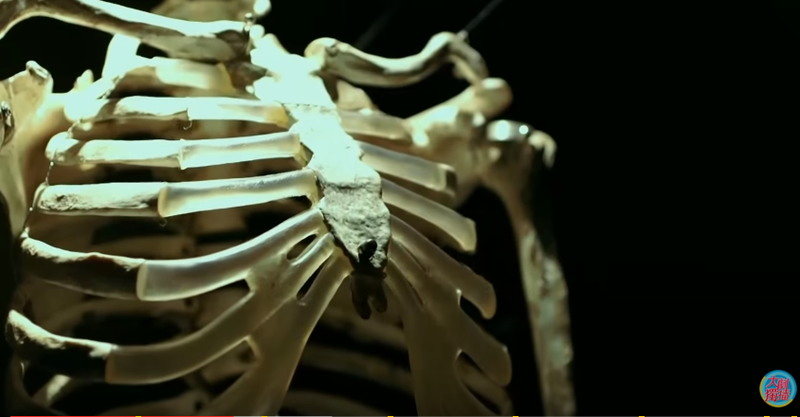 They open the locked door to discover a room of human parts in displays. Everyone exits the house in a hurry, including Mr. 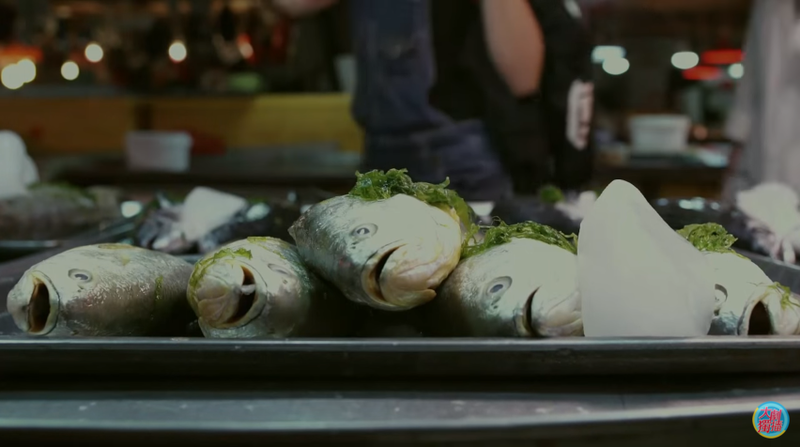 Fish who is struck with grief over his persumably dead son. After the initial period of shock, Yao Yao concludes that Jin Yan must be in the business of medical research and that these body parts are probably on loan from a hospital. Isn’t she a quick one to pronounce him innocent? She barely knows the guy! Soon enough, Xuan Ran brings a group of policemen over and surrounds the house. Convinced that Jin Yan is suspicious, Xuan Ran is set on investigating him, but all efforts are lost when his father aka the chief arrives and tells them there is no way Jin Yan is a suspect. Why? Turns out Jin Yan is the youngest person to receive a Ph.D. from the University of Maryland. Instead of staying there, he returned to China to join a local police academy as an assistant professional in criminal psychologist. Ah-ha! Still doesn’t explain why a criminal psychologist needs to have a room of human organs and bones and what nots. 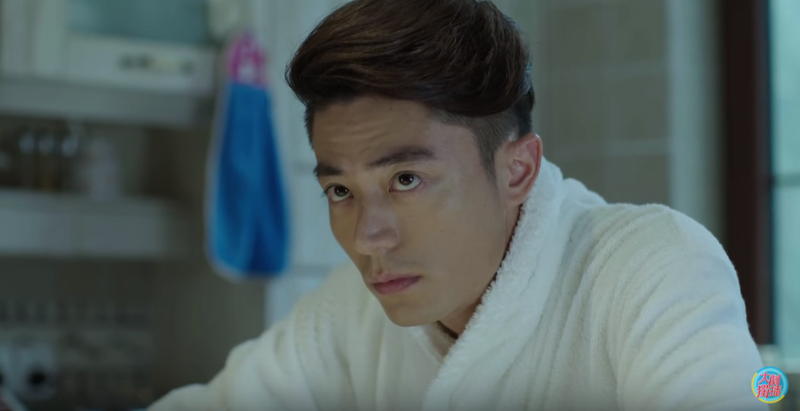 Now that Jin Yan’s secret has been revealed, the police force wants him to help them solve the missing persons case. Jin Yan’s only requirement? For Yao Yao to be his assistant. 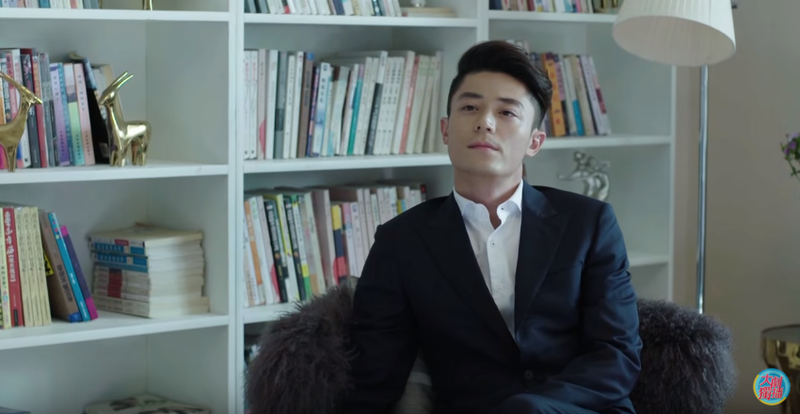 Xuan Ran claims that he tried to recommend himself, but got rejected. Jin Yan’s reason for rejection? He doesn’t know Xuan Ran and so he is not interested. Oh man, burn! Yao Yao returns home mumbling about the ridiculousness of Jin Yan’s request, but little did she know, he is sitting in her room right at that moment. Since she won’t go to him, he has decided to come to her. He has to brush up on his sales techniques though because it just sounds like he is a total snob – or maybe that’s just his true nature shining through. My money is on the latter. So he starts off by psychoanalyzing her and follows it with a string of insults on her choice of books (romance novels) because they lack logic. Finally, he gives her a couple of reasons why she is the best candidate: she is the only person he knows and she can fish. Great compliments, sir. When Yao Yao still exhibits some hesitation, he tells her frankly that this is a case only he can solve and it will not take more than a week so she should just report to duty at 8AM the next day. BAM. 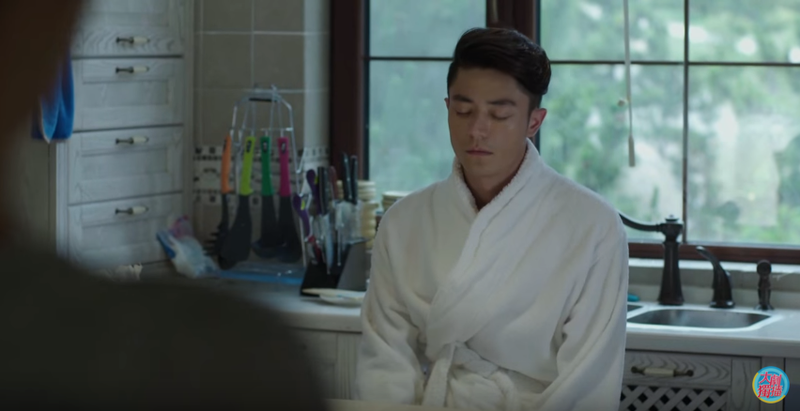 An obedient Yao Yao arrives at the house ready to work the next morning, but she witnesses a tired Jin Yan walking around prepping breakfast all the while in a bathrobe. While he is eating, he notices that she has changed her hairstyle. A proud Yao Yao replies that she thought it was more complimentary to his style since she is working for him now. He comments that it is not as pretty as before and that it is best for her to change it back. LOL. BTW, why is it that people who “return” from America all have to acquire a habit of eating toast and drinking milk? Shortly after breakfast, the duo takes Andy to one of the missing teen’s home. Jin Yan encourages Yao Yao to tell him any and all information she has on the teen, and so among the list of “useless” info, he picks out an important detail – that the teen brought a basket of eggs on his way to his aunt’s house. Jin Yan explains that the teen must have sold off the eggs to get money to play video games at an internet cafe. From that, he gets a profile of the potential suspect – 25 to 35, local, skinny, average features, lives and works close to the market, no car, good at communication and frequents the internet cafe. AND it is very likely that these missing children are all dead because the suspect is a serial killer. What??? Haven’t had enough? Click for episode 3 recap! 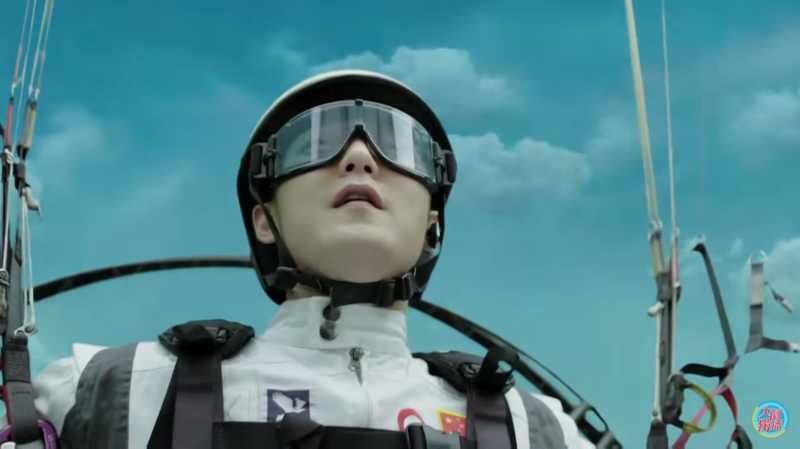 Zi Yu was out playing adventure laser tag and then sky diving. Does this man work? 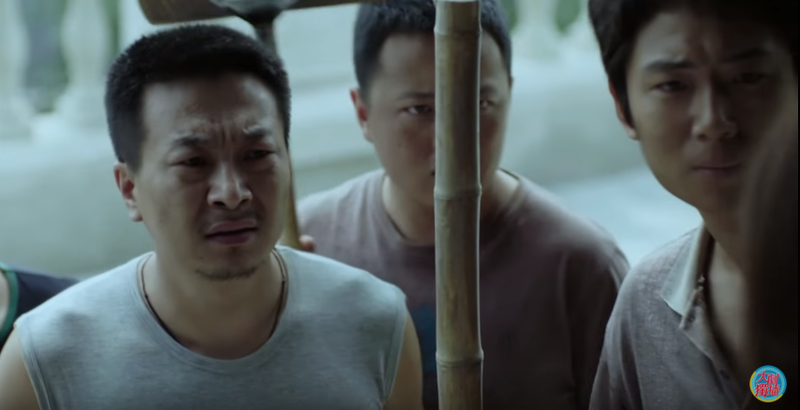 Jian Xuan learns of Jin Yan’s fame and begs Yao Yao to get his signature for her because she is a HUGE fan of American crime dramas (cue eye roll). Yao Yao refuses because she thinks Jin Yan’s response would be “if I give everyone my signature, my hand will no longer exist.” LOL. 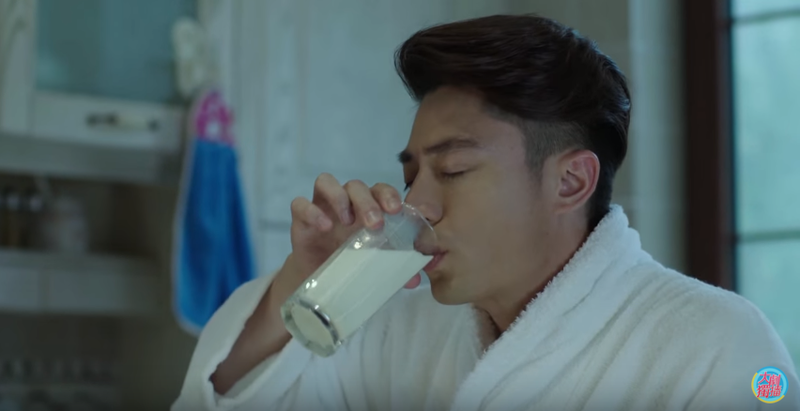 Yao Yao denies that Xuan Ran is her boyfriend when Jin Yan asks. Andy likes to play soundtrack to Jin Yan and Yao Yao’s conversations. It’s pretty funny! There’s someone who is spying on Jin Yan and Yao Yao. He must the be main bad dude! And he has got a wall full of pictures of the two! Eep!